Willow Run School Board President Sheri Washington said she didn't know if the district was going to press charges against former Student Services Administrator Laconda Hicks after the board fired Hicks during a special meeting Tuesday night. The Willow Run Board of Education unanimously voted to terminate its contract with former Student Services Administrator Laconda Hicks Tuesday night during a special meeting. The board determined Hicks knowingly violated her contract during her tenure with Willow Run. They voted that she received more pay than she was due, misused paid sick time, performed unauthorized research for her doctorate using Willow Run students and staff and fraudulently obtained a new contract with the board that included additional pay and benefits. The board has been conducting closed due process hearings against Hicks since April 13. The board removed both Hicks and former Superintendent Doris Hope-Jackson from their administrative positions in December, and placed them on paid administrative leave during an investigation into alleged misconduct. Several of the district’s charges against Hicks indicate that she “colluded” with Hope-Jackson to receive additional pay and paid time off. At this point, it’s unclear whether the district will request repayment of misappropriated funds paid to Hicks, or whether they will file additional criminal charges against her. “We haven’t ruled any further action out,” said Board President Sheri Washington. Washington also said that she didn’t know whether Hicks would file wrongful termination litigation against the district. 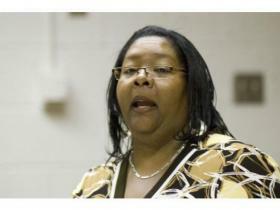 The district expects to begin hearings against former Hope-Jackson in the coming weeks. The board has brought similar charges against Hope-Jackson, including misappropriating funds and violating her contract with the district.